August 1913 - Winter 1913. 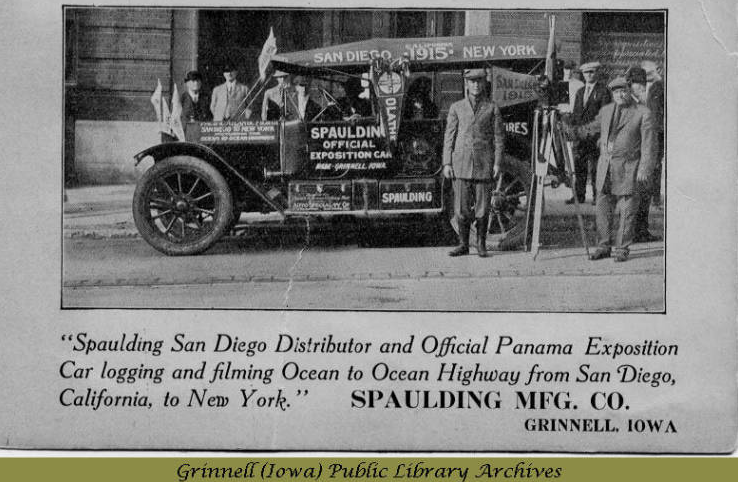 San Diego businessmen chose Spaulding for their vehicle for a cross-country trip, aiming to map out a route to be used for travelers to the Panama-California Exposition held in 1915. In addition, they planned to film the trip with a camera mounted to the front of the car. Robert P. Cooper headed the expedition. Pictured is a card which was given out to promote the event. The pictured car is possibly a Spaulding 50. 1 photograph : b&w ; 21 x 25 cm.